There really is a lot to do in Las Vegas. If (by some miracle) you’ve managed to see all the icons, taken a ride on a rollercoaster, shopped until you dropped, and navigated your way around the Strip like a local, you still haven’t even scratched the surface! So, if you’re up for stepping off the well-trodden path and want to experience another side of this beautiful city, check out these 11 awesome things you didn’t know you could do in Las Vegas! #1. Skill Up For A Zombie Apocalypse! For anyone who is a fan of the hit show The Walking Dead, members of the public genuinely concerned with a zombie uprising (we suppose it could happen…), or if you’re just after a day of high-adrenalin fun, a day at Las Vegas’ Combat Zone Paintball & The Zombie Apocalypse Experience ought to get the heart pumping. 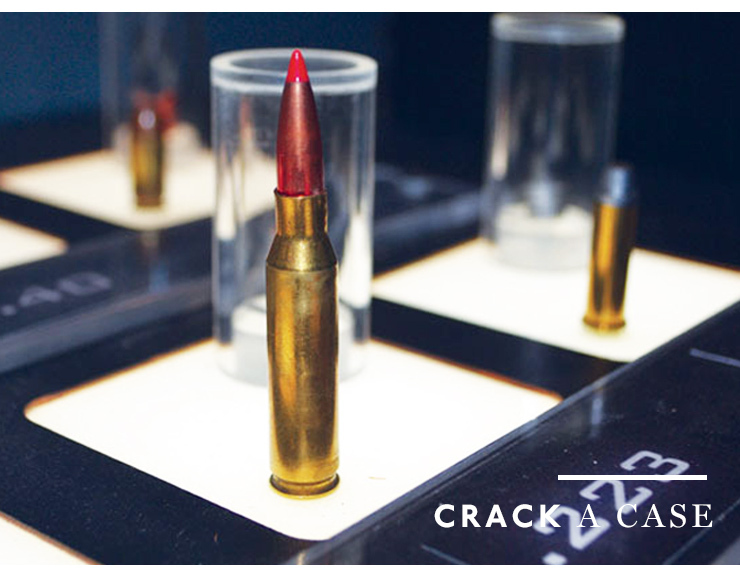 Grab a group of mates and spend your day fighting your way through a zombie-infested battlefield. Remember, friends who apocalypse together, stay together! 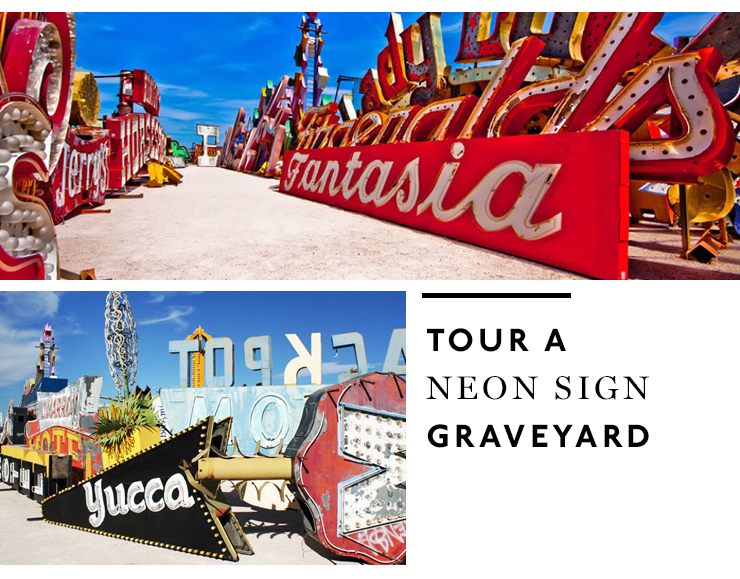 Take a trip back in time to the Las Vegas of the 50s and 60s, and check out the super-sized neon signs sent into retirement at the Neon Sign Museum. Definitely a spot for some fantastic photo ops, take a walk around the kitsch and incredibly beautiful works, commissioned all those years ago. No trip to Las Vegas is complete without visiting the desert. But why go to a spot bustling with tourists and selfie sticks? 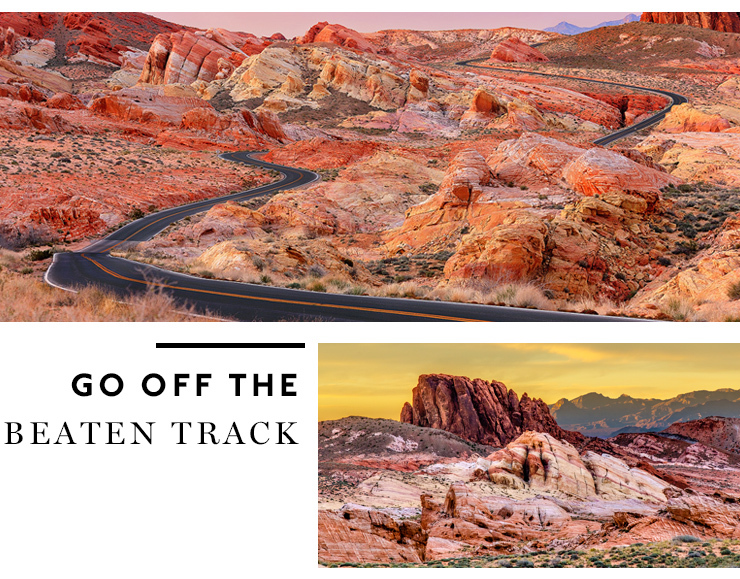 Make the journey to the lesser-known Valley Of Fire; just as beautiful as Red Rock Canyon, and under an hour’s drive from town! Make tracks to the Mirage, and don a wetsuit to help look after a pod of Bottlenose dolphins for the day! Make besties with Flipper and the gang by assisting the trainers at feeding times, getting up close and personal with weigh-ins and training sessions, and ultimately learn about these beautiful creatures. #5. Learn How To Cook Like A Celebrity Chef! Have a break from all that fork-to-mouth exercise you’ve been doing, and take home some real life skills from your Las Vegas holiday. Enrol on the Bellagio’s Epicurean Epicenter Series, and learn how to cook, courtesy of their world-renowned resident chefs! #6. You vs. All The Food! Las Vegas is home to some of America’s most insane (and infamous!) food challenges, so go hard or go home, and enter into one of the city’s greatest food challenges. Du-Par’s Stackzilla Pancake Challenge at the Golden Gate Casino Hotel, and the Cowboy Challenge at PBR Rock Bar & Grill at Planet Hollywood are good starting points. Bring your appetite and wear some stretchy pants! It’s not just the glamorous nightclubs that have all the fun round these parts! On the first Friday of every month, go downtown and check out Las Vegas’ vibrant arts and culture scene at First Friday. 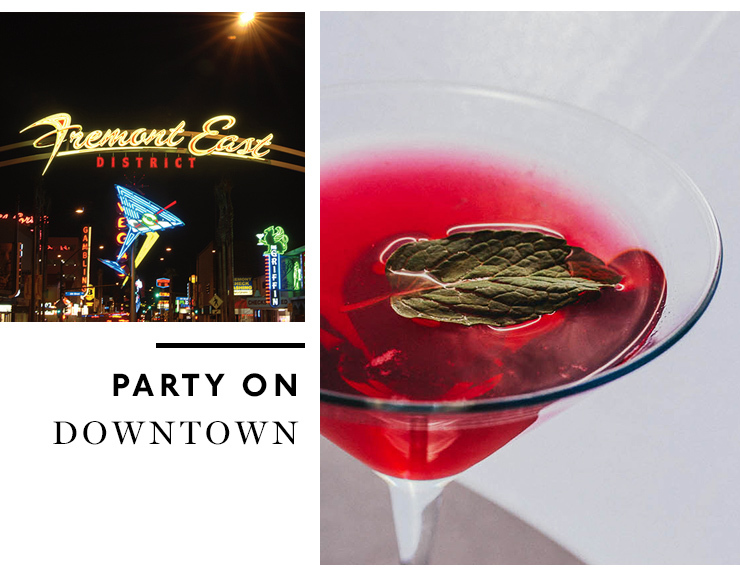 With an outdoor bloc party, hundreds of local artists, food trucks, performers and bars open late into the night, hang with the locals and immerse yourself in some true Vegas culture! #9 Drive A Dune Buggy! #10. Enjoy Happy Hour—Sky High! Take a ride on the High Roller at The LINQ, the world’s largest observation wheel! Not just for the views of Las Vegas mind you (though they are completely spectacular), you’ll want to take a spin during their Happy Half Hour, where each cabin turns into a sky-high bar, pulling out the hard stuff to throw the best kind of happy (half) hour! Get to the top and cheers your fellow passengers with a glass of bubbles. The classiest happy hour ever? Hidden away in the back of designer boutique Louis Vuitton’s store at The Shops at Crystals, is a custom-commissioned installation by none other than famed artist, James Turrell. Make your way inside, and let the staff know you’re there to see the ‘Akhob’ exhibition. You’ll be discreetly whisked away to the back of the store where you’ll be invited to step through a private door. Super fancy pants. Editors note: This article is sponsored by Tourism Las Vegas and proudly endorsed by The Urban List. Thank you for supporting the sponsors who make The Urban List possible.